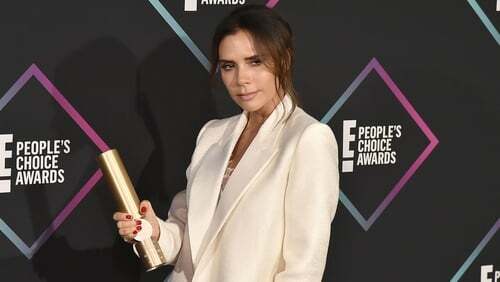 Beckham praises women "succeeding against the odds"
Victoria Beckham has acknowledged female artists who once encountered "substantial" obstacles because of their gender and said she identifies with the goal of "succeeding against the odds." Under the unifying theme, The Female Triumphant, Sotheby’s in New York is mounting a sale of work by 14 women from the 16th to the 19th centuries, work which they describe as "fearless and groundbreaking"
"I definitely identify with women succeeding in something against the odds," Beckham told the Press Association. "I certainly entered the fashion arena surrounded by people’s preconceptions and I would say that I needed a strength of mind to pursue my passion. "These artists defied the norm of their time and I think that is what is truly fascinating about them – as well as how incredible their work is." Her own personal and brand ethos as fashion designer, she declared had "always centred around the empowerment of women. This sale and story stands for exactly the same thing. She referred to female painters "now being brought to the fore of Old Master history all this time later."